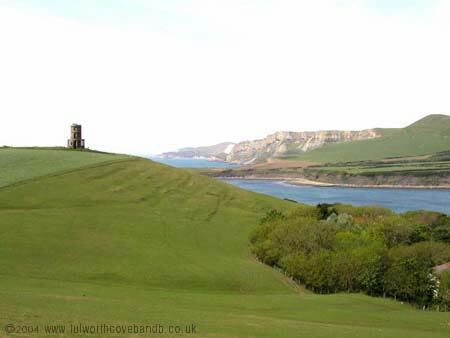 Kimmeridge bay and folly with Gad Cliff and the ranges looking West. Lulworth is at the most distant point on the horizon. To walk to this point from Lulworth cove will take between 3 & 4 hours.